Hatcher and Korine have troubled pasts. They both are trying to right a wrong. Despite Hatcher's marriage being over, it wasn't technically. Hatcher is riddled with guilt over his wife's death, but ultimately, he knows it wasn't his fault. However, he also has guilt over his former partner's injuries as well. He is just getting back to work after mourning when he realizes that he's now paired with the one woman he can't seem to get out of his mind. She tempts him in a way that awakens his protective instinct and libido. Korine is hell bent on finding the person who murdered her father in front of her when she was only a girl. Her family life is messy and burdensome, but she does her best to help her brother and mother. While her mom is somewhat catatonic, her brother is an alcoholic who can't seem to get things together. With a killer on the loose, Korine and Hatcher have to find out why these people are being killed and by whom. The killer is savvy, cunning, and always one step ahead of them. Racing against the clock, both Korine and Hatcher are also trying to heal their own family guilt. I really enjoyed that the story was more about the killings than the romance. Korine and Hatcher were the background to this story and the real story was figuring out who this killer was that was trying to ultimately get Korine. When the truth comes out, it's more than the motive that is dropped in the laps of the detectives. I really hope that we get more on the killers and these characters, because they were engaging and well developed. I think that Korine and Hatcher have some good potential for a relationship and great chemistry. Their communication was somewhat lacking, but overall, they made a good couple. 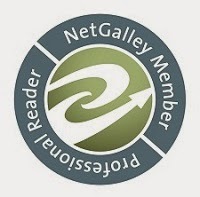 Pretty Little Killers is the first book in a new series. We get the point of view for FBI agents Hatcher McGee and Korine Davenport as well as snippets from our killer. There are several mysteries to this story. We get the current murders and the murder of Korine's dad when she was five. We also know one half of a pair of killers who murdered Hatcher's wife is still on the loose. I had theories about who the killer was and how the threads of the story might come together and for some things I was on the right track and for others I was way off. The pace of the investigation is good and the action ramps up towards the end and it got my blood pumping. On the romance side of things, Korine and Hatcher had good chemistry on a physical level but I struggled to feel their emotional connection. This is probably the part of the story for me that wasn't all it could have been. I did enjoy their romance and the steamy part of the story, I just would have like to have connected to them more. Pretty Little Killers is a good start to a new series. I don't know if book two is going to be more of Hatcher and Korine or if we are getting another couple. Either way, I look forward to reading it. The mystery/crime solving part of Pretty Little Killers was very good and I will definitely continue reading this series. 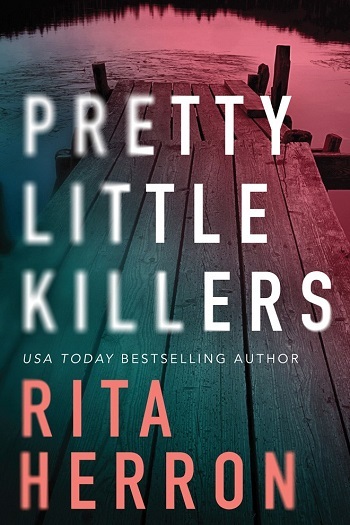 Reviewers on the Wicked Reads Review Team were provided a free copy of Pretty Little Killers (The Keepers #1) by Rita Herron to read and review.